Hamstring injuries are always lurking. On top of that, once you’ve injured your hamstring, there is a substantially higher chance of doing it again, especially if not strengthened properly. Unfortunately, there is a massive range of severity involved, issues can range from a few days of limping to a few months of full rehabilitation and recovery. Hamstrings never discriminate who they affect, and the best defense is a good offense! #1 Restoring hamstring length and function (progressing to eccentric resistance) Range of motion is the first priority, as it allows full function of the muscle, and re-strengthening can begin. Each muscle action of the hamstring needs to be reintroduced based on pain and recovery timelines, and progressed to build strength as quickly as possible. 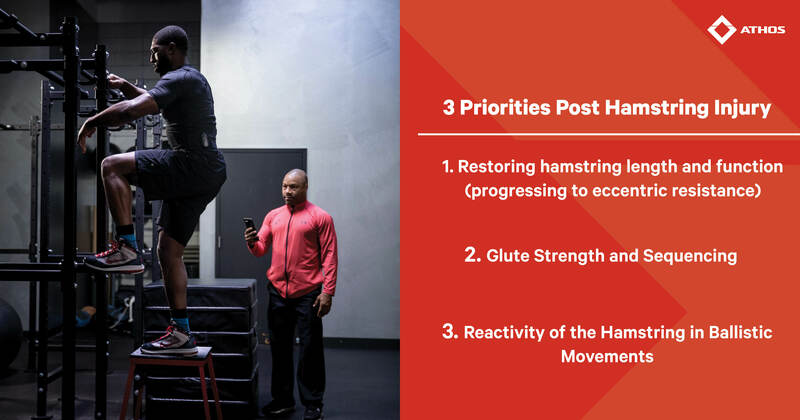 # 2 Glute strength and sequencing Lack of glute strength and improper sequencing can easily contribute to hamstring issues, so proper strengthening and restoration of function can help mitigate undue stress upon the hamstring. 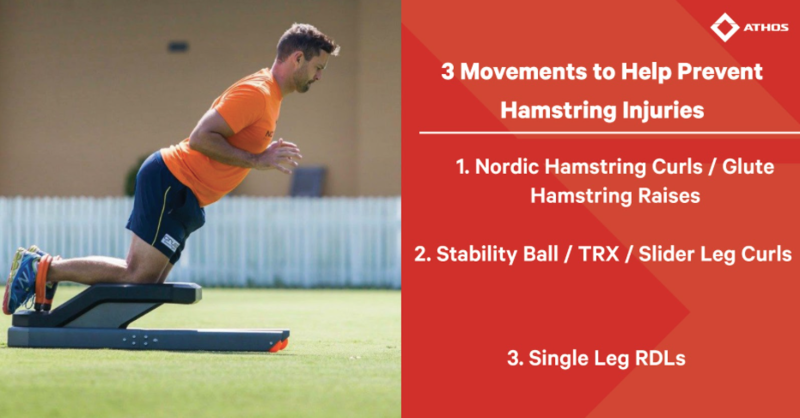 #3 Reactivity of the hamstring in ballistic movements After strength in a controlled environment is produced, the athlete has to begin dynamic strength and stability exercises to impose the specific demand on the muscles seen in their respective activity. This is where sport and sport-like activities will start to be incorporated and progressed based on each individual situation. 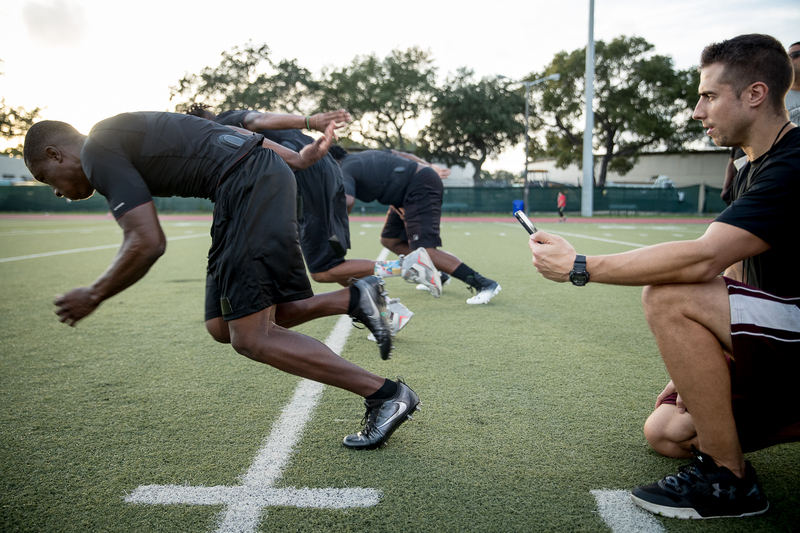 Whether it’s deciding what to program, adjusting the cueing during movements, tracking training load and progress, or understanding imbalances and muscle contribution, Athos has helped coaches and athletes achieve their goals. In short, those with stronger, properly trained hamstrings reduce their risk of injury, and can recover faster if they were to hurt it. #1 Nordic hamstring curls/glute ham raises These can easily be called the greatest hamstring exercises in the history of ever. 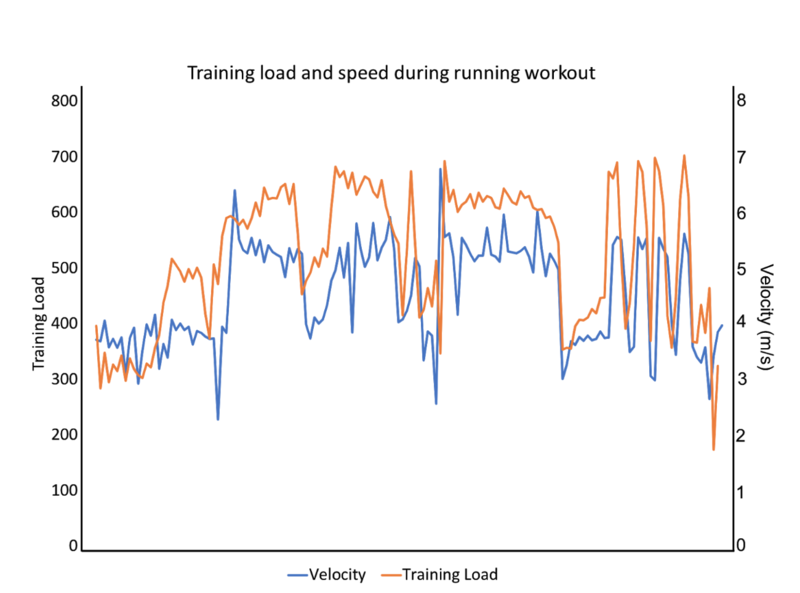 The biggest bang for your buck here is that these are great eccentric loading exercises for the hamstrings, which is the function of 99% of athletes during athletic movements. The stronger they can resist eccentric tension, the stronger they can brake or produce force. Have a beginner athlete? Good news - there are tons of ways to regress the movement to make them accessible to every level. If that isn’t enough reason to find a way to incorporate them into your training, there is also a myriad of scholarly studies on programs involving these exercises and how and why some of the largest professional athletic organizations use them. #2 Stability ball/TRX/slider leg curls This is an exercise variation involving knee flexion combined with hip extension. The hamstring usually assists with hip extension but another function is the ability flex/resist flexion of the knee while the hip is already extended. This is also one of the few closed chain knee flexion exercises, so force is generated involving/through the ground instead of typical leg curls which are open chain (not connected to the ground). As they become easier, they can become more explosive, single leg, faster, resisted, you name it. 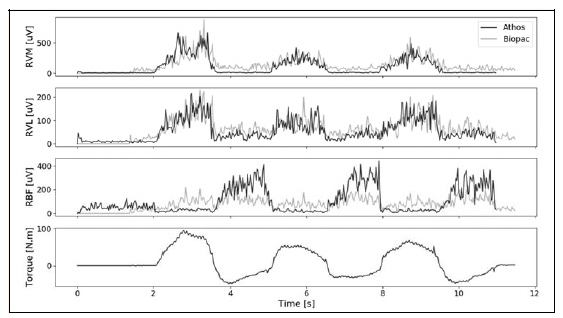 #3 Single Leg RDLs Hamstrings also need to function independently. This is a closed chain balance/force production exercise that demands massive levels of coordination and stability at the hip. It is very easy to progress and regress, and highlights a lot of issues with whole body coordination. Once skill is decent, it can quickly be used as a multi-faceted warm up exercise to help prepare the hamstrings/posterior chain and hip stabilizers for greater demands of movement.